Must see 3 bedroom, 2 bath home with NO HOA! 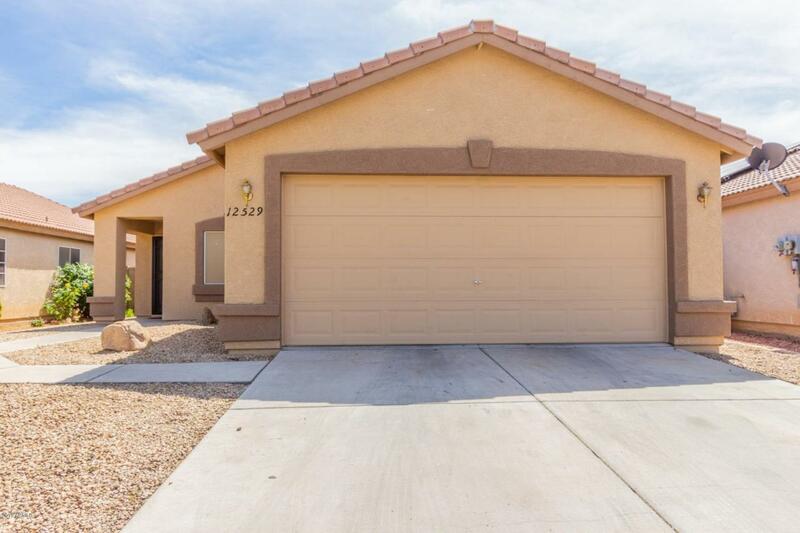 Beautiful home tucked away within quiet El Mirage neighborhood. Pristine, no-fuss desert landscaping, with bonus storage shed in backyard. Open interior, with immaculate tile and plush carpeting. Stylish, eat-in kitchen. Cozy Family room, ideal for relaxation or entertainment. Master bedroom offers spacious closet ! Convenient indoor laundry room with built-in, overhead cabinets. Spacious. backyard ready for your personal touches! Don't miss out. Call to schedule your private showing ASAP!